Before you start telling people that they’ll have to pry your gun from your cold, dead fingers, you first want to make sure that those fingers are wrapped around the best gun ever. To help you decide, we’ve had a look at some awesome guns and made a list of those we think could be your personal best. Keep in mind, this is not a list of the most powerful or the most accurate or the deadliest guns. 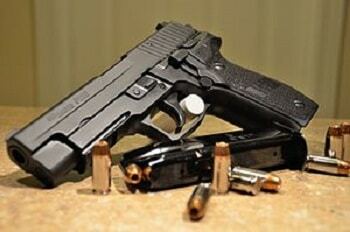 Our list goes across the board, from revolvers to semi-automatics, from old classics to new challengers. Obviously, we did not neglect quality, but our aim was to find the gun that will go down in time as timeless. As we will be looking at several types of guns of different ages and functions, there are not many general elements they will have in common for comparison, but there are a few things you need to watch out for. First of all, you need to ask yourself what you need a gun for. Do you want to start or expand a collection? Do you need it for defense in your home? For sport? Or to carry it around? The ammunition you put into a gun is a cartridge. It is composed of a casing, gun powder and a slug of lead or other material, which is the actual bullet. These cartridges come in a series of sizes, and these sizes usually refer to the caliber of the bullet. However, the cartridge itself is not named after the size, as there are several elements which indicate if a cartridge will fit a weapon. Always check what cartridge your weapon needs before buying it. What Are The Nest Options Out There? Weight (unloaded): 710 g / 25.06 oz. Description: The Glock 17 rose to international stardom almost instantly in 1982 when the Austrian government announced that it was looking to replace the Walther 38 as a service weapon and was looking for prototype submissions. Despite having no experience in the design or construction of firearms, engineer Gaston Glock’s outperformed the submissions of all competitors. Surpassing all NATO durability standards, it was adopted as a duty pistol by numerous countries all over the World, including the USA. What sets the Glock 17 apart, aside from its outstanding performance, is that it was the first gun to have a polymer frame, its creator being an expert in synthetic polymers. 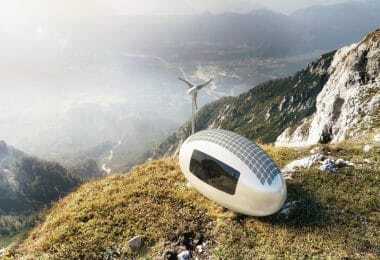 This means that not only is it durable but is also pretty light for its size. 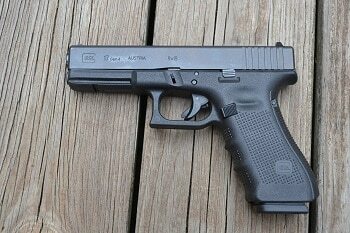 The rough and rugged design of the Glock is unique and almost iconic, though few might call it elegant or beautiful. 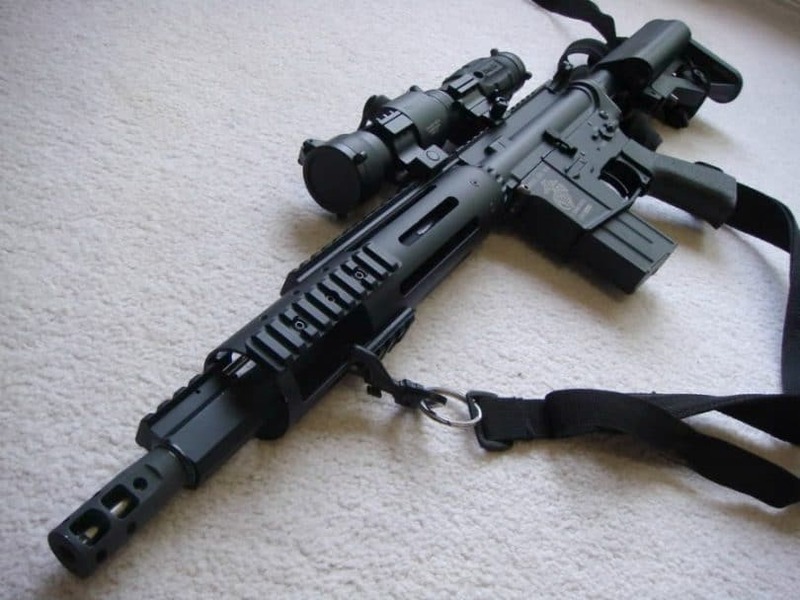 It is a simplistic and effective design for a simple and precise weapon. It holds 17 9mms plus one in the barrel and will shoot them with accuracy to a distance of up to 50 m / 55 yds, with a famously soft recoil. It is one of the most recognizable, beloved and widely used semi-automatic pistols in the World, none of it without reason. This is ideal for you if you are looking for something for competition shooting or just to feel safer in your home. Barrel Length: several between 102 mm / 4 in. and 270 mm / 10 5/8 in. Description: Do you feel lucky? Well, do ya, punk? Cause if you are it might have to do with the fact that you got your hands on one of these classic guns. Smith and Wesson is one of the, of not the most famous name combinations in the armament industry, and the 29 might just be their most famous model, even if for no other reason than Clint Eastwood calling it “the most powerful handgun in the world”. A statement which was not untrue when “Dirty Harry” came out. But there is more that makes this handgun a candidate for the best gun than the endorsement of one of the USAs very own treasures. The gun was developed in 1957 to chamber the .44 Magnum, a round famous for its strength on impact and accuracy. 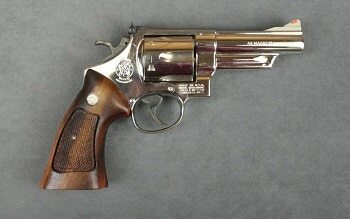 Although it wasn’t suited for police work, as the strong recoil would tire out the shooter quite easily, this double-action six-shooter proved a great success in civilian use, and after it made its big screen debut, it became an essential piece for collectors, especially after 1990 when production became limited. The design, as with the Glock, is a classic and instantly recognizable. In fact, the Model 29 is probably the image most people have in mind when they think of a revolver, even if they don’t know what it is called. Whether you go for a chestnut color wooden handle or a black polymer one; a polished blued or nickel-plated surface, this gun will look and feel great in your hands. And because your need and tastes will surely vary from that of other shooters, S&W offer a range of variants for the Model 29, whether it relates to the length of the barrel, the presence of an underlug or purpose, such as sports competitions. Barrel Length: 415 mm / 16.3 in. Description: From one superstar we move to the other. 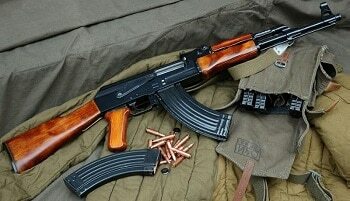 The name AK-47 resounds in gun lover’s minds across the World like the ra-ta-tat of its discharge, though it will probably be better known to the general public as the Kalashnikov, named after its creator. This semi- or fully automated, gas operated assault rifle was first introduced on the Soviet market in 1948, and almost seventy years later it is still the most popular and widely used assault rifle on the planet, all thanks to its well-known reliability and durability under the harshest of conditions, low-production cost and simplicity in design and use. From armies to insurgents, there is not a single true soldier or fighter who has not shot one of these at one point in his life. And if you are a gamer, then surely you’ve used the Kalash. 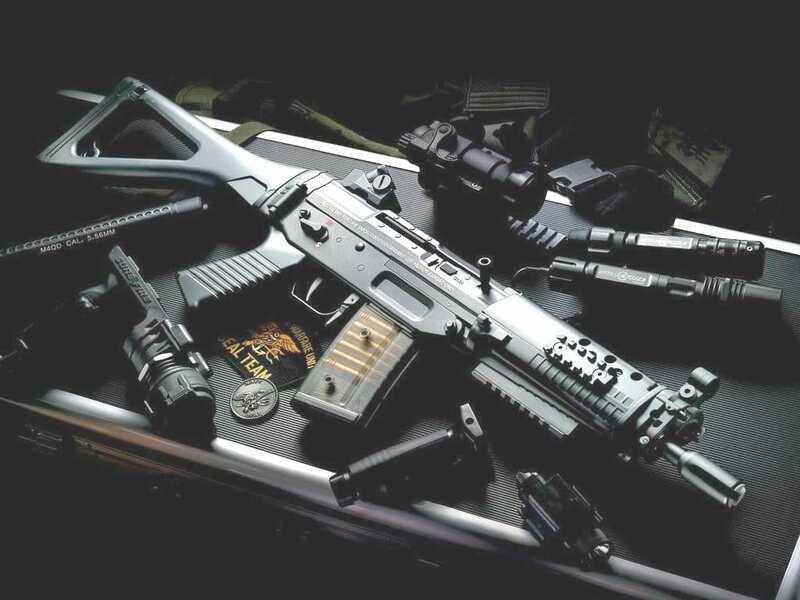 The design manages to balance a modern aspect with a classical touch, especially if you choose the wooden stock, and everything about it screams practicality. The magazine usually holds 30 rounds, though higher and lower numbers are available. The AK-47 has a 350 m / 380 yds effective range and a combat firing range of 40 rounds/min on semi-automatic and 100 rounds/min bursts. If you are a collector and can get your hands on one of these, it should not be missing from your collection, though for private or protective use it is definitely overkill. Length: 210 mm / 8.25 in. 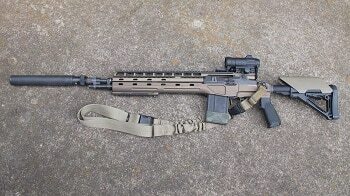 Barrel Length: 127 mm / 5.03 in. Description: After Smith and Wesson, Colt is another name synonymous with tradition and quality, its roots going back to the Wild West, and the M1911 is their most appreciated semi-automatic model, hence why it went through only minimal changes in the 105 years of its existence. Designed by famed gunsmith John Browning, the M1911 beat out the products of several weapons companies in a competition for government contracts. Its man-stopping capability, precision, and reliability in harsh battle conditions ensured the gun would see action in most of the wars of the 20th century including such recent theaters as Iraq. 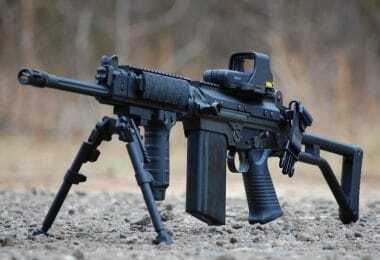 It also the most commonly seen weapon in the Call of Duty franchise. The standard magazine holds 7 rounds and is quite large in order to hold the wide .45 ACP rounds. Double stack magazines, holding 14 rounds, are also available. It has an effective firing range of 50 m / 55 yds. The design is a testimony to the effectiveness of the classic semi-automatic frame, as it has remained unchanged for over 100 years, while so many other designs have been abandoned. In contrast with other semi-automatic pistols on this list, the M1911 retains a classic look. 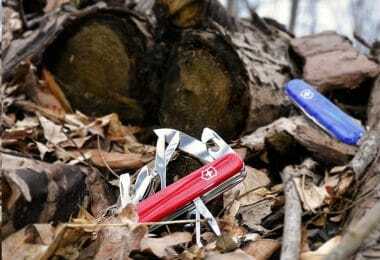 The frame is black, matt steel, and the handle is well-angled into the receiver for an ergonomic grip. The handle is straddled by dark-brown wooden or rubber grips, which give it a distinct look. You will notice the classic two diamonds on the grips, a trademark of this gun. Description: You know you are in for one of the history’s treasures when a rifle is known as “The gun that won the West”. The Winchester 1873 lever action repeating gun is as iconic a piece of American frontier history as is the Oregon trail or Wild Bill Hickock. This gun left such an impact on the American culture that there even was a 1950s Jimmy Stewart film titled after it. The gun was in production between 1873 and 1919, as such, it was not easy to get your hands one of these until recently. Luckily, in 2013 production was restarted, and to preserve the classic design, hardly anything was changed. The big difference is that the .44-40 rounds were replaced by .38 and .357, the latter being better suited for this gun, as its length works better with the loading mechanism. The tube magazine will hold 15 rounds and the effective firing range is 50 yds. With the elegant curvature of its black walnut stock and the blued steel of its frame, the Winchester 1873 will lend a classical touch to any room in which it is put on a mantle. It is a collector’s must-have, though, you could do much worse if you are also looking for something to protect your home or hunt small game. Description: Fame or iconic status are not the only sign of quality. Sometimes a gun will build a solid base of fans who loved it for its superior quality even if it has not become internationally known. 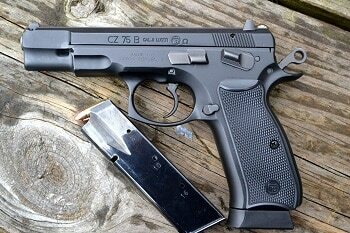 One such gun is the CZ 75, the preferred handgun of Czech competition shooters; and they should know since competition shooting is the third most popular sport in their country after soccer and ice hockey. In 1969 famed gun designer Koucky was offered by the Soviet Union carte blanche to design one last handgun before his retirement, and the CZ 75 is the result, a precision oriented, all-steel, black, semi-automatic handgun. The standard magazine will hold 16 rounds, though there are models with greater or lesser capacity, and effective firing range is 25 m. Being an all steel item, it is rather heavy, but as an upside to that, it does feel safe and solid in your hand. Barrel Length: between 47.6 mm / 1.875 in. and 127 mm / 5 in. Description: The Model 60 carved its name in the tablet of gun history by being the first all stainless steel gun to enter regular production. It was so popular when it came out in 1965, that waiting lists for it extended to six months. The first thing you will notice about it will probably be its size, by which I mean, you will notice a lack thereof. Even with its longest possible barrel, the 5” one, this is still the most compact gun on our list. A quality which makes it ideal as a concealed weapon, whether you strap it to your side, drop it in your purse or even keep it in your pocket. 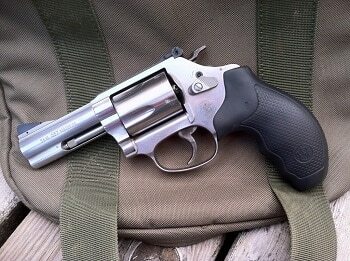 Of course, the limited proportions do come with some short-comings, and the Model 60 is only a five shooter. Still, with the stopping force of a .357 Magnum, there is little you cannot stop with five of them; you’ll just have to recharge more often at the range, is all. The gun is also very comfortable, having a highly ergonomic black plastic grip, which has a solid feel to it. As can be expected from an S&W, the gun is also distinguishable smooth, whether it is the trigger pull, hammer pull, or the cylinder release. Description: Switzerland might be one of the most peaceful countries in the World, but what few people is that the reason it managed to avoid wars for so long is that it is also one of the most heavily armed countries in the World, be that civilian or military, with gun politics being on par with those in the USA. With such a passion for guns, there need not be any doubt that they will pour love into making them. The SIG P226 is one of the results of that love, the end product of Swiss quality and precision combined with German engineering. 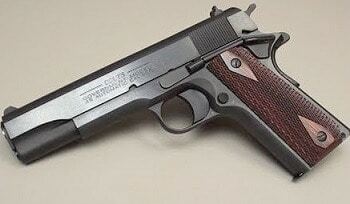 This gun entered the US market during a 1984 competition to find a replacement for the aforementioned M1911. And although the price finally went to the Beretta 92SF, the Navy SEALs and police departments nationwide went for the P226 anyway. Magazines start at 10 rounds and come in many versions with higher numbers. This gun also accepts a variety of cartridge types. The effective firing range in 50 m / 55 yds. The design is very close to that of the M1911, but looks a bit more modern, with small details making the difference, such as the curvature of the handle, made to better fit in a hand. The frame is usually a black aluminum alloy with a Nitron coated, stainless steel slide. Length: 1126 mm / 44.3 in. Barrel Length: 559 mm / 22 in. Description: “This is my rifle. There are many like it, but this one is mine.” The rifle this “Full Metal Jacket” quote refers to is the M-14, a selective fire automatic rifle, which served as the standard issue infantry rifle of the U.S. Military from 1959 to 1970. This is one of the rifles that got a lot of brave soldiers through Vietnam, as such it is deeply embedded in the American popular consciousness, earning an iconic status. In fact, it is still seeing service today in all branches of the military, being the longest serving rifle. It also the go-to choice for ceremonial rifles, be it for honor guards or ceremonial guards. This gun is very powerful, too powerful even, as the lack of control when using automatic fire was one of the reasons it was replaced by the M-16 in the middle of the war. And while there are plenty of those who swear by its accuracy and performance, there are still plenty others who consider such sentiments as nothing more but glorified nostalgia and do not recommend this rifle for its performance. Still, it is not a rifle which would be misplaced in a gun collection, if for nothing else but its iconic position in American memory, especially with a walnut or birch stock. These had been replaced by fiberglass, once it was clear that the wood would swell in the hot, moist jungle. Length: 990 mm / 39 in. Barrel Length: between 370 mm / 14.5 in. and 510 mm / 20 in. 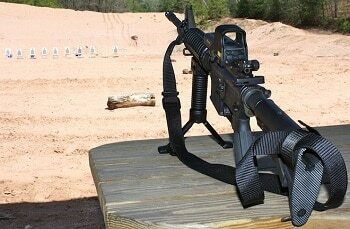 Description: Initially produced by ArmaLite, the AR-15 was a selective fire, air-cooled, magazine-fed rifle, designed to be a lightweight assault rifle. The design was bought by Colt in 1959, and by 1964 it was adopted by the military as the M16, replacing the M14 as the standard issue in 1970. Colt later released a semi-automatic version of this gun for civilian use, and the AR-15 title was reserved for this version since. 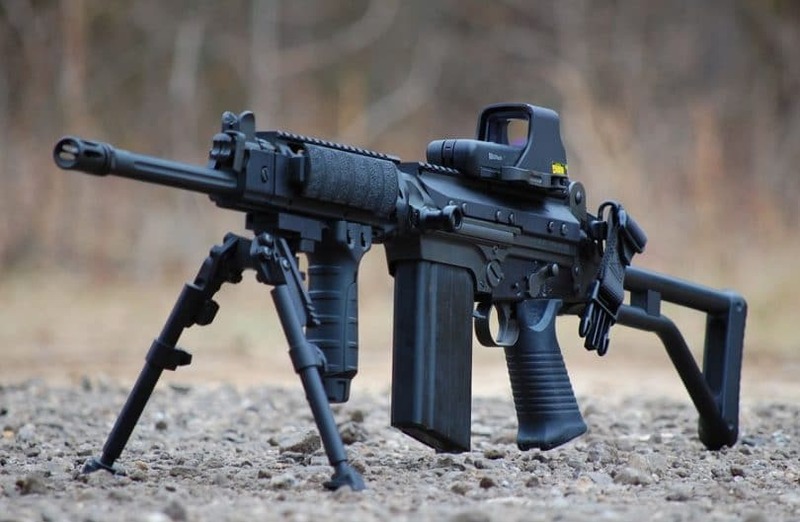 Unlike most firearms, which are gas-operated, meaning they use a separate gas cylinder and piston for reloading, the AR-15 uses direct impingement operation, that is, the high-pressure gas released when the rifle is shot is re-used and acts directly upon the bold and carrier. What this means, is that the rifle has fewer parts and is much lighter. However, it also means that the propellant gas, which has a lot of impurities, comes into direct contact with several components, fouling them. The standard magazine holds 20 rounds, though you can find smaller ones if you need to comply with any legal restrictions in that sense, and you can also go up, with some magazines holding 100 rounds. The effective firing range is 550 yds / 500 meters, and the firing rate is 800 rpm. The burst function will fire 3 rounds. So, there you are, a smorgasbord of the guns that have made a name for themselves amongst gun lovers. Some are classics, some are beauties and some are plain effective, but they all are excellent at what they do and they all would make a great addition to your collection or would be a great starting point for one. 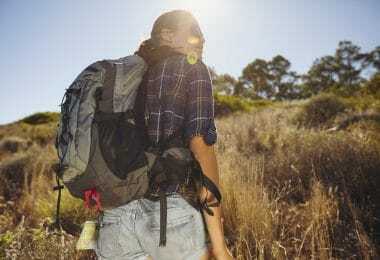 Whether you intend to lock it behind a glass case or carry it around with you, any gun from this list is bound to receive a nod of approval from your fellow gun enthusiasts.